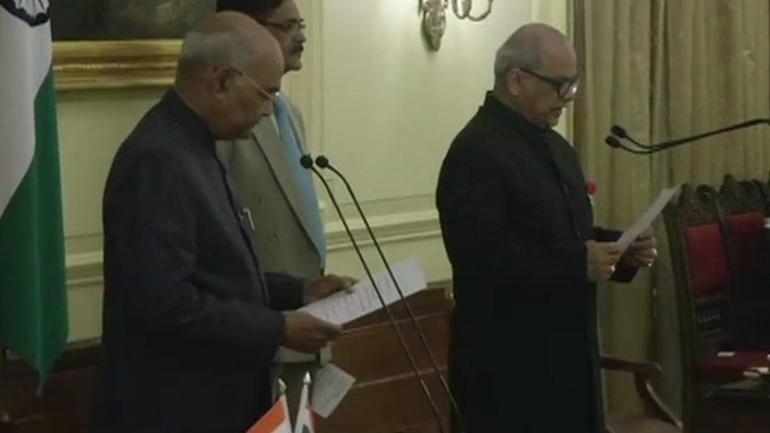 Justice Pinaki Chandra Ghose today took oath as the first Lokpal or anti-corruption ombudsman of India just days before the general elections. PM Narendra Modi, President Ram Nath Kovind, Vice President M Venkaiah Naidu and Chief Justice of India Ranjan Gogoi were also present on the occasion. The Lokpal's appointment comes five years after the Lokpal Act received the President's approval. Mahender Singh and Indrajeet Prasad Gautam were appointed as non-judicial members of Lokpal. Justices Pradip Kumar Mohanty, Abhilasha Kumari, Dilip B Bhosale, and Ajay Kumar Tripathi were named as judicial members.